Erin Vringer of Saint John took home some hardware as well with a first-place finish in the U16 800m and a second-place finish in the 1200m. Erin’s 800m Gold medal on Saturday marked a new Championship record in a time of 2:18.09- also conveniently a new provincial record for Vringer. Sunday, Vringer toed the line in the 1200m, where she led the majority of her race, but in the final fifty metres, was overtaken by Vancouver’s Maya Baechler by four one hundredths of a second. Other notable performers of the weekend was Micah Landry who picked up bronze medals at the Championships. Landry, of St.Stephen took third in a very exciting U16 1200m run Sunday morning, overtaking Quebec’s Edward Marsh in the homestretch. Results of all New Brunswick athletes can be found below. 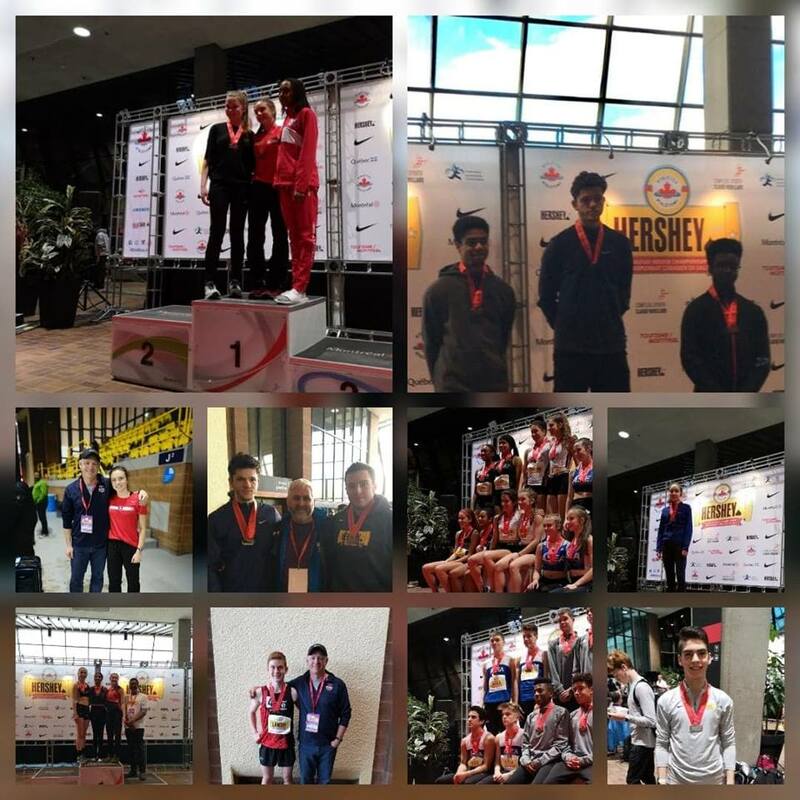 “Athletics New Brunswick is very pleased with all of our athlete’s performances this weekend” said Julia Loparco, team lead this weekend. “Coming away with 13 medals is something to be proud of, and having the experience at a larger-scale event such as these Championships has helped put the sport into perspective for many of our younger athletes. It’s exciting that most of our athletes reached faster times, higher heights and farther throws this weekend and they’re hoping to carry on this momentum into the summer season starting next month”.